We have shipped our work all over the world. We have taken the time to make sure your mount arrives safe and intact. With our 25 years of experience, we know what it takes to crate the mounts for safety. Quadruple wall cardboard exterior with wood structure, and shrink wrapped our crating has exceeded all of our carriers’ requirements. We have a fully operational shipping and receiving department complete with loading bays and forklift for all of our shipping needs. All shipments are insured in case the impossible happens. 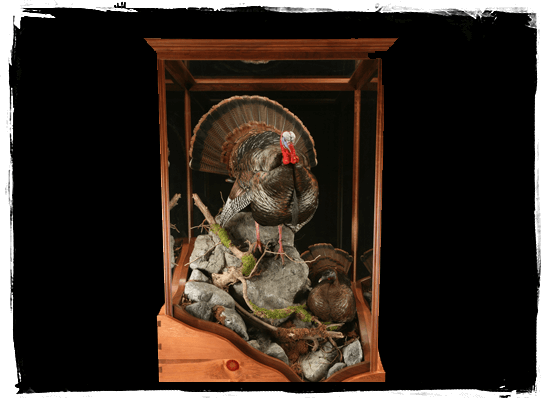 Costs are very minimal with Advanced Taxidermy with shipping as our carriers give us discounts on quantity of work and we hand those savings directly to our clients. If shipping frozen birds to us, it is best to ship in a secured cooler with ice packs. Make sure that the specimen is sealed in a leak proof bag. Only ship out on a Monday, and be sure to call and let us know of the shipment before it goes out. This way the shipment can be tracked along its route.